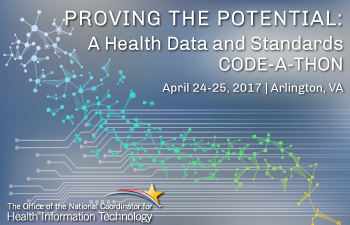 The “Proving the Potential: A Health Data and Standards Code-A-Thon,” is being hosted by the Office of the National Coordinator for Health Information Technology (ONC) on April 24-25, 2017. The competition challenges software developers, students, and aspiring entrepreneurs to team up and leverage publicly accessible Internet and health-specific tools to prove the potential for them to work together to solve tangible interoperability challenges in healthcare while maintaining appropriate levels of privacy and security. 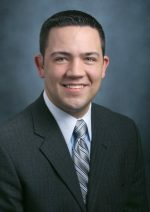 This effort is funded by the Patient-Centered Outcomes Research Trust Fund (PCORTF) through a partnership between ONC and the Office of the Assistant Secretary for Planning and Evaluation (ASPE). Prizes will be paid by Capital Consulting Corporation. The event is limited to the first 150 registrants with a maximum of 100 contestants; observers are welcomed. Registration for both contestants and observers will remain open until Friday, April 21, 2017, at 11:59 p.m., EST. All registrants will receive a confirmation email upon completion. Check in at the Registration table on Monday, April 24, 2017, will begin at 8:00 a.m., Eastern Standard Time (EST); team formations will begin at 9:00 am. The event is limited to the first 150 registrants with a maximum of 100 contestants; observers are welcomed. 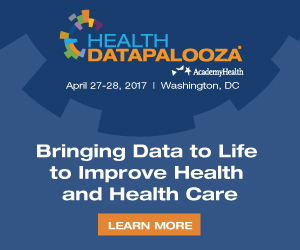 Registration for both contestants and observers for this event will be accomplished online at the following link: https://www.cccinnovationcenter.com/challenges/proving-the-potential-a-health-data-and-standards-code-a-thon/ and will remain open until Friday, April 21, 2017, at 11:59 pm EST. All registrants will receive a confirmation email upon completion. Check in at the Registration table on April 24th, will begin at 8:00 a.m.; team formations will begin at 9:00 am. Contestants will be asked to form teams that consist of 2-5 contestants; there will be a maximum of 20 teams eligible to participate. Although informal formation of teams is encouraged prior to the competition, contestants will officially determine their team and sign-up the morning of the event. Modification to team make-up may occur based on team skill make-up at the direction of the competition host to ensure all of those wanting to be a contestant have the opportunity to participate. Contestants must make any source code created accessible to the public via Github. The author(s) must allow modifications and derivations of the work under the solution’s original name. No person, group, or field of endeavor can be denied access to the solution. The rights attached to a project’s solution must not depend on the solution being part of a particular software distribution. The project must be online and interactive. Supporting screenshots and/or mock-up work flows will not be accepted. The project slides must include links to documentation of all data sources and open source tools used. The Patient Matching Aggregation and Linking (PMAL) Project is administered by ONC and funded through the Patient Centered Outcomes Research (PCOR) Trust Fund. PMAL is focused on the identification and testing of standards for matching patients to their data across and in between clinical and claims data sets, and the identification of algorithms that can be used to reliably perform patient matching in these contexts. PMAL has also developed security profiles based on OAuth2, OpenId Connect and UMA for securing web application programming interfaces (APIs). These security profiles have been created so that healthcare application programming interfaces (APIs) can be protected appropriately while providing necessary access to data. A number of open source tools and services have been built to support the use of Open APIs as a means to exchange clinical and health related data. This Code-A-Thon aims to encourage developers to leverage these assets using these underlying services and platforms to build more advanced services on top of them and showcase their innovations. Teams will showcase their skills and vision using the APIs, software development kits (SDKs), and other tools from today’s leading innovators in healthcare. This should be a forward-thinking project that enhances interoperability and focuses on demonstrating the potential to seamlessly incorporate one or more of the assets into existing health IT systems. Participants are encouraged to leverage additional open tools and services in combination with those listed above. These videos provide an overview of the required tools and services to be leveraged in code-a-thon projects. Shall have registered to participate in the Code-A-Thon under the rules promulgated by ONC. Shall have complied with all the stated requirements of the Code-A-Thon. All works presented to the judges must be created at the Code-A-Thon unless it is publicly available for use by other participants at the time of the Code-A-Thon under MIT, Apache Creative Commons or other comparable open source license. In the case of a private entity, shall be incorporated in and maintain a primary place of business in the United States, and in the case of an individual, whether participating singly or in a group, shall be a citizen or permanent resident of the United States. Shall not be an HHS employee. May not be a federal entity or federal employee acting within the scope of their employment. We recommend that all non-HHS federal employees consult with their agency Ethics Official to determine whether the federal ethics rules will limit or prohibit the acceptance of a COMPETES Act prize. 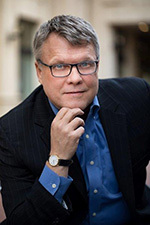 Federal grantees may not use federal funds to develop COMPETES Act challenge applications unless consistent with the purpose of their grant award. Federal contractors may not use federal funds from a contract to develop COMPETES Act challenge applications or to fund efforts in support of a COMPETES Act challenge submission. All individuals and entities must meet the eligibility requirements. An individual or entity shall not be deemed ineligible because the individual or entity used federal facilities or consulted with federal employees during a Code-A-Thon if the facilities and employees are made available to all individuals and entities participating in the Code-A-Thon on an equitable basis. Contestants must agree to assume any and all risks and waive claims against the Federal Government and its related entities, except in the case of willful misconduct, for any injury, death, damage, or loss of property, revenue, or profits, whether direct, indirect, or consequential, arising from participation in this prize contest, whether the injury, death, damage, or loss arises through negligence or otherwise. Contestants must also agree to indemnify the Federal Government against third party claims for damages arising from or related to Code-A-Thon activities. Contestants must comply with the Code-A-Thon Code of Conduct. No HHS or ONC logo – The product must not use HHS’ or ONC’s logos or official seals and must not claim endorsement. Functionality/Accuracy – A product may be disqualified if it fails to function as expressed in the description provided by the Participant, or if it provides inaccurate or incomplete information. Security – Submissions must be free of malware. Participant agrees that ONC may conduct testing on the product to determine whether malware or other security threats may be present. ONC may disqualify the submission if, in ONC’s judgment, it may damage government or others’ equipment or operating environment. Judges will award a score to each submission. The winner(s) of the competition will be decided based on the highest average overall score. Judges will only participate in judging competitions for which they do not have any conflicts of interest. The solution effectively leverages the tools and services listed in the Goals of Challenge section of the Code-A-Thon and exhibits interoperability with existing technologies. Does the solution address their chosen track? Is the project practical and useful? Does the solution utilize one or more of the required tools/services? The solution is easy to understand, visually appealing, and clearly addresses one of the three use cases identified for this Code-A-Thon. Will the project help drive understanding of current trends as well as recommendations? The project exceeds expectations through its incorporation of creative design elements and innovative capabilities. Does technology like this already exist? How innovative is the concept for this code-a-thon? Team identifies gaps in standards and utilizes identified assets to demonstrate how the technology may be used to enhance/improve existing privacy and security functions, and share data across the health ecosystem. Solution demonstrated how data could be used to enhance/improve clinical outcomes. General Conditions: ONC reserves the right to cancel, suspend, and/or modify the Code-A-Thon, or any part of it, for any reason, at ONC’s sole discretion. Access: Submitters must keep the submission and its component elements public, open, and available for anyone (i.e., not on a private or limited access setting) on GitHub. Open Source License: Winning submissions must use MIT, Apache, Creative Commons or other comparable open source licenses. Participant is the sole author, creator, and owner of the Submission. The Submission is not the subject of any actual or threatened litigation or claim. The Submission does not and will not violate or infringe upon the intellectual property rights, privacy rights, publicity rights, or other legal rights of any third party. The Submission does not and will not contain any harmful computer code (sometimes referred to as “malware,” “viruses,” or “worms”). The Submission, and contestants’ use of the Submission, does not and will not violate any applicable laws or regulations, including applicable export control laws and regulations of the U.S. and other jurisdictions. The Submission must be capable of enabling users to comply with all applicable standards, implementation specifications, and requirements in the Health Insurance Portability and Accountability Act of 1996 (HIPAA) regulations. Contestants must indemnify, defend, and hold harmless the Federal Government from and against all third-party claims, actions, or proceedings of any kind and from any and all damages, liabilities, costs, and expenses relating to or arising from participant’s submission or any breach or alleged breach of any of the representations, warranties, and covenants of participant hereunder. Contestants are financially responsible for claims made by a third party. ONC reserves the right to disqualify any submission that it deems, in its discretion, to violate these Official Rules, Terms & Conditions. 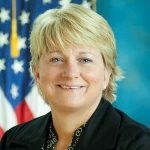 Debbie Bucci, debbie.bucci@hhs.gov (preferred), 202-690-0213.